Two new locations added to Advanced Juniors schedule this Spring! We are excited to announce that Calabasas and Folsom will have their first season of Advanced Juniors this year. We are always looking for new locations and areas that are ready to offer more options for boys and girls searching for more advanced levels of volleyball. The Advanced Juniors program is for intermediate and advanced players to prepare and assist their transition from four-player instructional leagues to competitive indoor competition with a six-player format. The goal of the Advanced Juniors program is to create a pathway for players to advance to a higher level of competition such as High School or Club volleyball. The program is open to boys and girls ages 12-16. For more information on the Advanced Juniors, visit our program specific page to learn more and to locate a program near you. Register today and come join us for Advanced Juniors! Registration is open for the 2019 Advanced Juniors season! We have 16 programs located in the following cities: Calabasas, Camarillo, Cupertino, Elk Grove, Folsom, Fountain Valley, Irvine, Long Beach, Los Gatos, Sacramento, Saddleback Valley, San Jose, Santa Clara, Simi Valley, Thousand Oaks and Torrance. The Advanced Juniors program is for intermediate and advanced players to prepare and assist their transition from four person instructional leagues to indoor competition with a six-player format. The goal of the Advanced Juniors program is to create a pathway for players to advance to a higher level of competition such as High School or Club volleyball. Participants in the Advanced Juniors program should have prior volleyball experience. Each program has a dedicated volleyball instructor with experience coaching at the club, high school or higher level. The player to coach ratio is 12:1, with teams ranging from 8 – 12 players. To register for Advanced Juniors click here. If you have any questions please contact the USYVL National Office at 1-888-988-7985. USYVL’s Advanced Juniors programs will have fall tournaments on October 27th and November 17th at the VELO Sports Center in Carson, California. Teams from Camarillo, Fountain Valley, Irvine, Long Beach, Moorpark, Saddleback Valley, Torrance and Thousand Oaks will participate in the tournaments. USYVL’s Advanced Juniors program is for intermediate and advanced players to prepare and assist their transition from four person instructional leagues to competitive indoor competition with a six-player format. The goal of the Advanced Juniors program is to create a pathway for players to advance to a higher level of competition such as High School or Club volleyball. The Advanced Juniors is a co-ed program and is open to boys and girls ages 12-16 with two age divisions, 14-Under and 16-Under. To learn more about our Advanced Juniors program visit us online. For boys and girls looking for an advanced volleyball program, Advanced Juniors offers a more competitive environment in contrast to our instructional leagues. Come join us next spring for volleyball. Our spring registration for both instructional leagues and our intermediate/advanced programs is now open. Click here to find a program in your area and register today! •	Designed for players that have mastered fundamentals of volleyball. •	Co-ed, boys and girls ages 12-16. •	Two 90-minute practices per week. •	Skills assessment prior to the season or on the first meeting date. This weekend USYVL’s Advanced Juniors programs will have spring tournaments (June 9th). 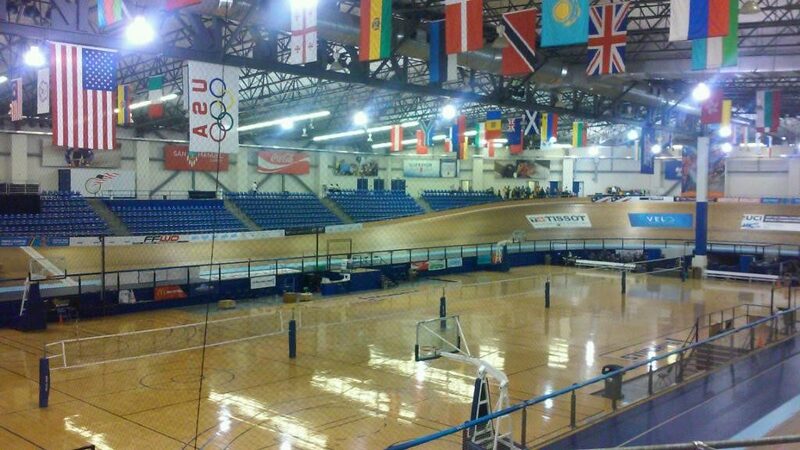 Teams from Camarillo, Fountain Valley, Irvine, Long Beach, Moorpark, Saddleback Valley, Thousand Oaks and Torrance will participate in the tournament at the VELO Sports Center in Carson, California. Also on June 9th are tournaments at the Olympus Sports Coliseum in Sacramento, California. Teams from the Northern California area participate, including Elk Grove, Sacramento and West Sacramento. For teams in the Bay area, tournaments on June 9th will be at City Beach in Santa Clara. Teams from Cupertino, Los Gatos and Santa Clara are participating. 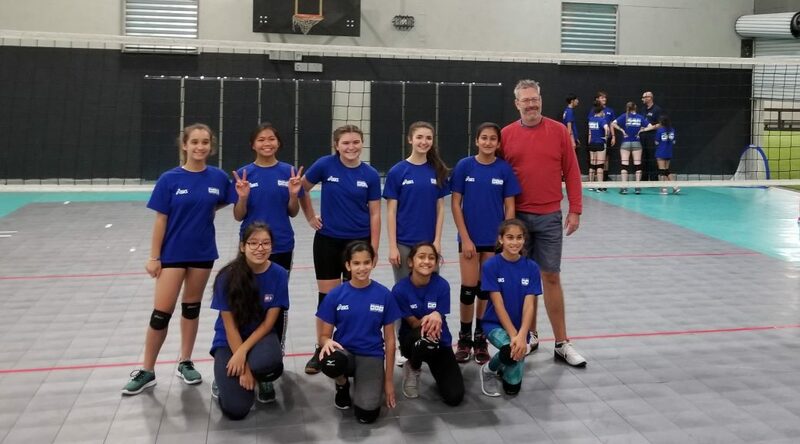 During the spring season, our Advanced Juniors program hosts three weekend tournaments as part of the volleyball schedule. This is a great opportunity for several of our intermediate volleyball programs to meet at the same venue and enjoy fun and volleyball together. The tournament will feature games with a six-player format. 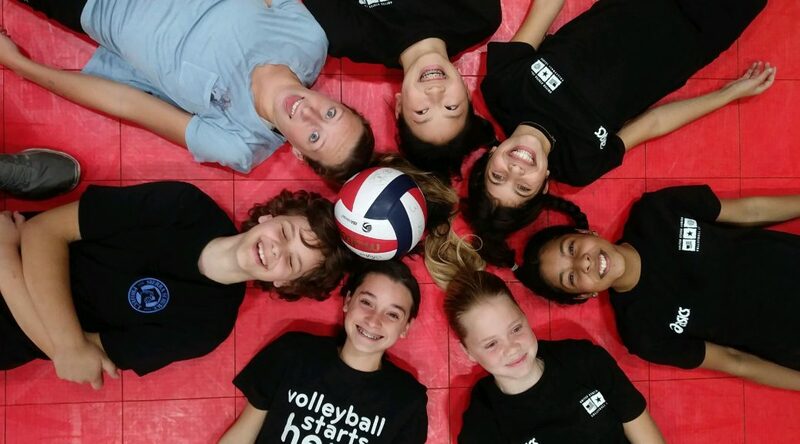 USYVL’s Advanced Juniors program is for intermediate and advanced players to prepare and assist their transition from four person instructional leagues to competitive indoor competition with a six-player format. The goal of the Advanced Juniors program is to create a pathway for players to advance to a higher level of competition such as High School or Club volleyball. The Advanced Juniors is a co-ed program and is open to boys and girls ages 12-16 with two age divisions, 14-Under and 16-Under. To learn more about our Advanced Juniors program visit us online. 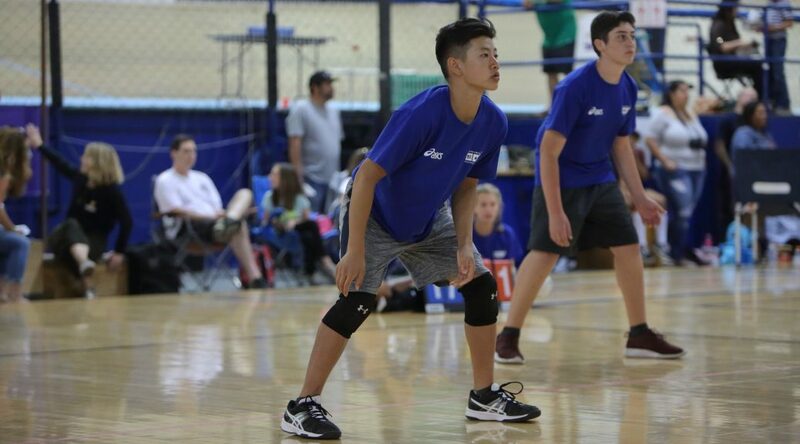 For boys and girls looking for an advanced volleyball program, Advanced Juniors offers a more competitive environment in contrast to our instructional leagues. • Designed for players that have mastered fundamentals of volleyball. • Co-ed, boys and girls ages 12-16. • Two 90-minute practices per week. • Skills assessment prior to the season or on the first meeting. Registration is open for 2018 Advanced Juniors. The Advanced Juniors program is for intermediate and advanced players to prepare and assist their transition from four person instructional leagues to indoor competition with a six-player format. The goal of the Advanced Juniors program is to create a pathway for players to advance to a higher level of competition such as High School or Club volleyball. Participants in the Advanced Juniors program should have prior volleyball experience. Each program has a dedicated volleyball instructor with experience coaching at the club, high school or higher level. The player to coach ratio is 12:1, with teams ranging from 6 – 12 players. Under this structure, participants have access to coaches that can provide guidance for individual skill development and instruction for enhanced team building skills. We are excited for the new Advanced Juniors next spring! To learn more about the program visit our Advanced Juniors page! •	Designed for players with volleyball experience. •	Qualified instructors with experience coaching at the club, high school or higher level. •	Uniform t-shirt provided to participants.